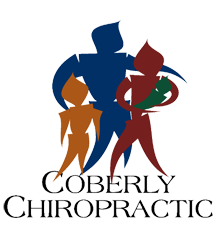 Neck Adjustments Effective for Cervicogenic Headache – Coberly Chiropractic, Inc. Most people with chronic headache depend on medication to get by, but a recent study reminds us of the power of drug-free treatments. Cervicogenic headache is estimated to affect between 20-25% of the adult population, but because the symptoms often mimic migraine and tension-type headache, the diagnosis can be easily overlooked. This headache type is caused by musculoskeletal impairments in the cervical spine, or neck, that cause pain at the base of the skull or above the eyes. Patients also often report dizziness and lightheadedness. Both invasive and non-invasive treatments are available for CGH, but more research was needed to confirm the effectiveness of non-invasive approaches. A recent study included a meta-analysis of six randomized, controlled trials on the effects of manual therapies for CGH. The interventions assessed included therapist-driven cervical manipulation and mobilization (neck adjustments); self-applied cervical mobilization; cervico-scapular strengthening; and therapist-driven cervical and thoracic manipulation. Patients in all but one study reported a decrease in disability and pain after these treatments, as well as an improvement in function. The researchers found that a combined treatment of therapist-driven cervical manipulation and mobilization, along with strengthening exercises, were the most effective for minimizing pain. These results add to previous research demonstrating the efficacy of a combined chiropractic and exercise treatment for CGH. Before you reach for medication for your headache, consider seeing a chiropractor who can help to diagnose and treat your headache once and for all.